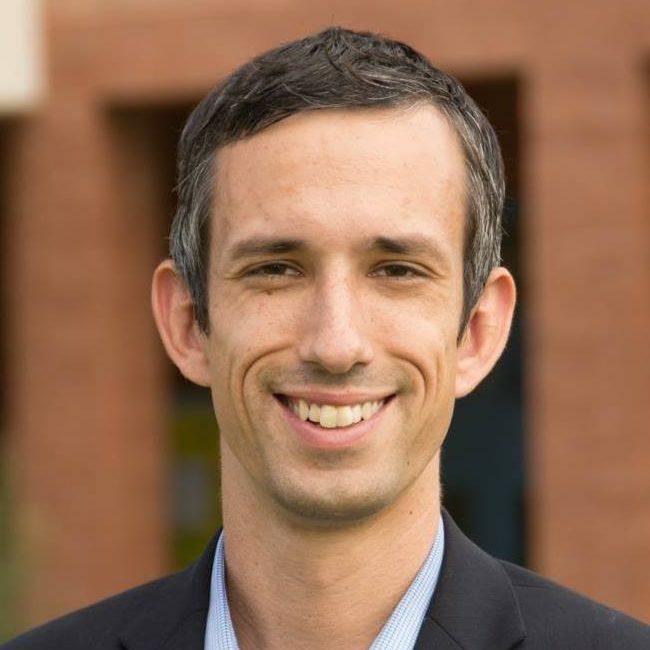 Sean is the incumbent candidate in this district, currently representing Legislative District 18 in the Arizona State Senate. LD18 includes Ahwatukee, south Tempe, west Chandler, and southwest Mesa. Since graduating from ASU, Sean has fought for good, sensible public policy at all levels of government– from the local level all the way to Capitol Hill. Sean has worked with stakeholders and elected officials on a range of projects, including education reform, expanding access to health care and protecting Social Security. Through these endeavors, he has sought to make government more effective and responsive to the needs of a 21st-century economy. After receiving his Master’s degree in Public Policy and Management from Carnegie Mellon University in 2013, Sean worked as a management consultant, working with Fortune 500 companies from across the globe. Read more on Sean&apos;s website. As your state senator, my most important priority is to help restore education funding and protect our local public schools and state universities. This is personal for me. My family first moved to our community over twenty years ago, drawn to our local public schools and quality way of life. I once sat in the same classrooms that now have larger class sizes, outdated textbooks, and overworked and underpaid teachers. Our legislature has failed to invest and protect our local schools. When given the opportunity, they have chosen to use state resources on things like for-profit prisons, tax cuts for corporations that never asked for them, and money for special interests. Those are not the priorities of our community, and they are definitely not mine. As your state senator, I pledge to: Make education my number one budgetary priority. Budgets are about priorities, and when voting on the state budget, nothing will be as important to me as investing in our schools. The cuts our schools have seen since 2008 are devastating and catastrophic; I will work diligently with both sides of the aisle to restore the cuts to our K-12 schools and strengthen our commitment to education. With Arizona currently ranked 49th in starting salaries for our K-12 teachers, action needs to be taken to better support them and strengthen their impact on the next generation of Arizonans. Prioritize our teachers and make investments in our classrooms. Arizona lags far behind the national average in teacher salaries. If we are serious about strengthening our education system and keeping our best teachers, we need to show them we are committed to their success. Through investing in our teachers, we can strengthen our K-12 schools and grow our economy. As your Senator, I will continue to promote education and support funding for our teachers and resources in their classrooms. Restore the cuts to higher education. This is also personal for me. I saw the effects of budget cuts every day when I worked in the Provost’s office at ASU. I helped work to make college more affordable for low-income families, increased resources for first-year students, and expanded access to people all across the globe. Since 2008, Arizona has cut more from higher education than any state in the country, a cut of nearly 50 percent. This has led to drastic increases in tuition, fees, and other costs. I graduated from ASU in 2008; since then, tuition has almost TRIPLED. This unnecessary and excessive reduction in higher education investment is having a dramatic impact on our state, both economically and culturally. Our state simply cannot compete in a 21st-century economy by reducing investment in our state universities. As your state senator, I am fighting every single day for our universities, and working with them to strengthen our local economy. Along with education, strengthening our economy and encouraging investment and job growth is a top priority of mine. Stopping the giveaways to special interests and corporations. Arizona has spent far too much money over the years in giveaways to special interests and corporations, with little to show for the generosity. Our state still lags the rest of the county in economic well-being, educational outcomes, and investment. Instead of steering more money to tax cuts, I believe our focus should be on investing in our economic future. That includes investing in our schools, promoting tax reform to help provide a more stable source of state revenue for future years, and stopping the blank checks to the for profit prison industry. Arizona has received a fair share of negative attention over the years as a result of the actions of our legislature. As your state senator, I am fighting for policies that roll out the welcome mat for Arizona businesses and their employees, and avoid the partisan rhetoric that our legislators exhibit each session. For example, one of my main priorities at the capitol will be to pass an Employment Non-Discrimination Act (ENDA), so that our LGBT friends do not need to worry that they will lose their jobs or their homes because of their sexual orientation. It’s upsetting to me that this policy isn’t already in place, and I’ll fight to make sure it is. We must secure the border. I support giving our border patrol agents the resources they need to protect our state and our border. Above all, I will listen to the law enforcement community from our county sheriffs to local police and provide them with the tools they need to do their jobs effectively. I will also work with our federal congressional delegation to ensure that Congress funds our border efforts. I am a strong supporter of the second amendment, and I will protect the rights of gun owners already in place at the state level. I do not, however, support allowing guns on college campuses or in government buildings. Additionally, I agree with the vast majority of gun owners and support requiring background checks for all gun purchases to ensure that firearms do not fall into the hands of criminals or those with mental health issues. As an Ahwatukee resident, and as someone who attended Mountain Pointe High School next door, I strongly support saving the lakes property. I do not support housing development on the land, and will work to protect the space as a public park or golf course. I will work with the city of Phoenix and other stakeholders to ensure that this space is protected from development. Arizona is a blue flip state. Democrats are only three seats away from flipping its state senate blue. Arizona is currently a trifecta state for the Republicans, which means they control the governorship, the state house and the state senate. Right now, Democrats have 13 seats in the Arizona Senate and Republicans have 17 seats. Our goal is to flip the Arizona senate blue by helping fragile incumbents hold their seats and flipping three seats blue.